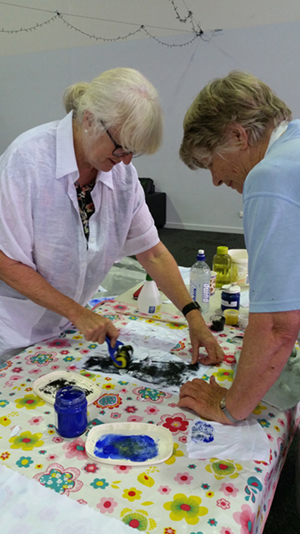 NO 2019 EXHIBITION SPOTS LEFT BUT YOU CAN BOOK FOR 2020. This is a PDF file. You will need Acrobat Reader to open it. 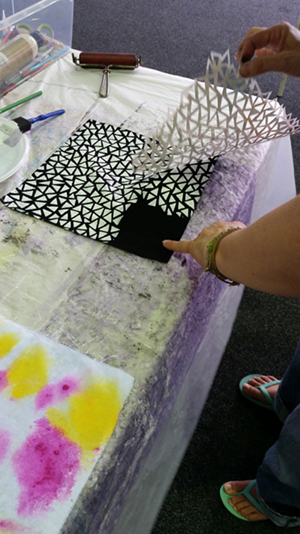 TWO WORKS FROM NCEATA's 2019 TRAVELLING EXHIBITION "BLACK AND WHITE PLUS". 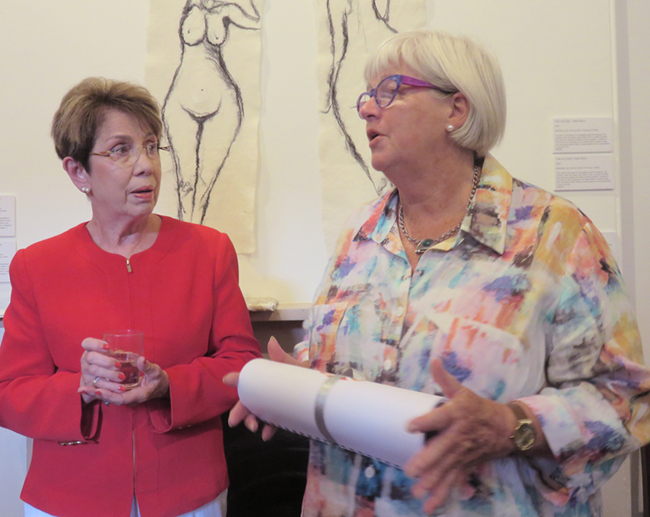 THE OPENING OF NCEATA's GROUP EXHIBITION "BLACK AND WHITE" 2018-19. 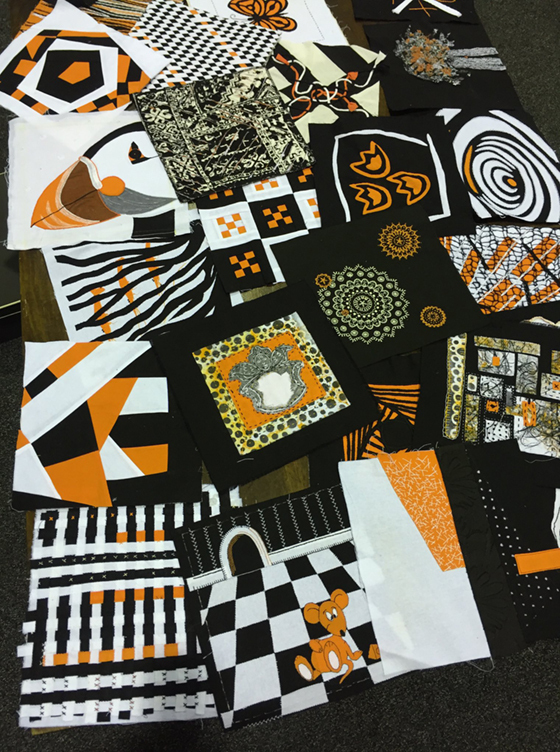 NCEATA's JOINT PROJECT TO MAKE FUND RAISING QUILTS DURING 2018.
" 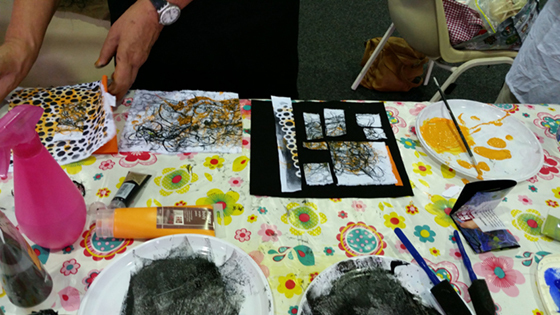 BLACK AND WHITE WITH A TWIST "
SOME OF OUR WORKSHOPS IN PROGRESS. 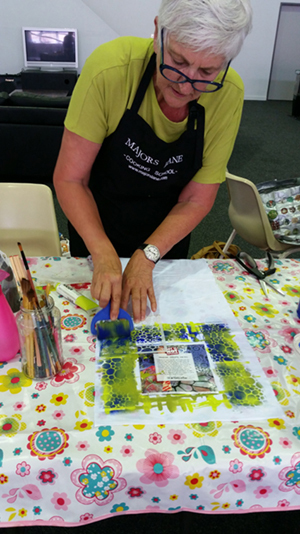 NCEATA PARTICIPATING IN THE 2028 LIVING SMART FESTIVAL, NEWCASTLE NSW. 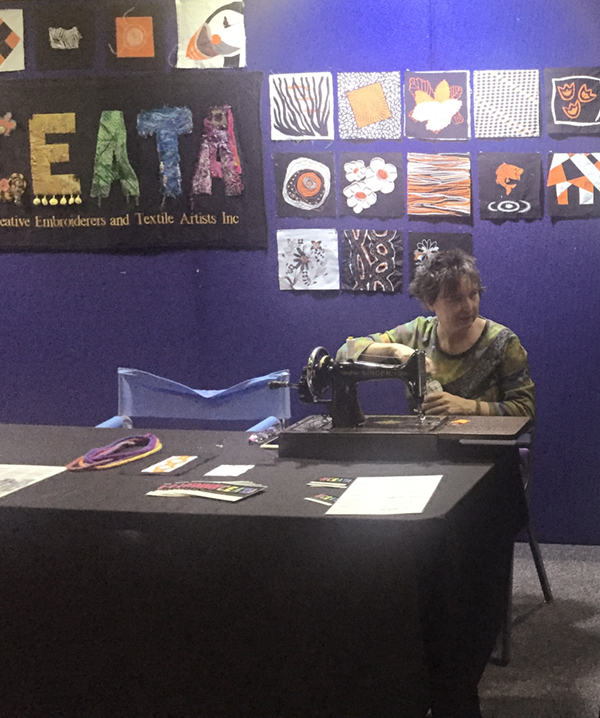 NCEATA MEMBERS AT THE 2018 STITCHES & CRAFT SHOW, NEWCASTLE NSW. 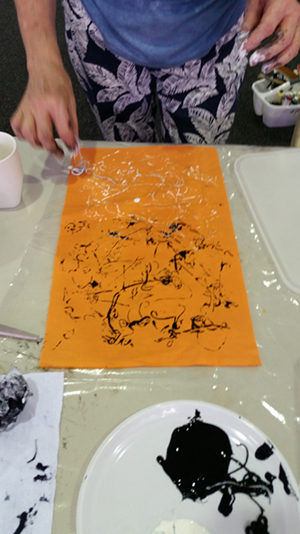 MORE OF OUR WORKSHOPS IN PROGRESS. 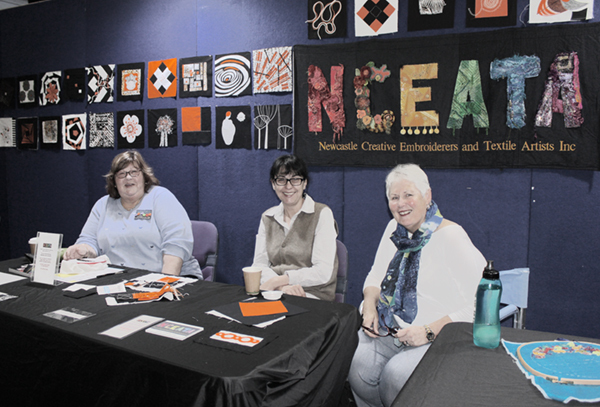 NCEATA was first formed in Newcastle over thirty years ago the Newcastle Creative Embroiderers and Textile Artists have been bringing together dynamic textile artists of all skill levels to share, learn and exhibit. 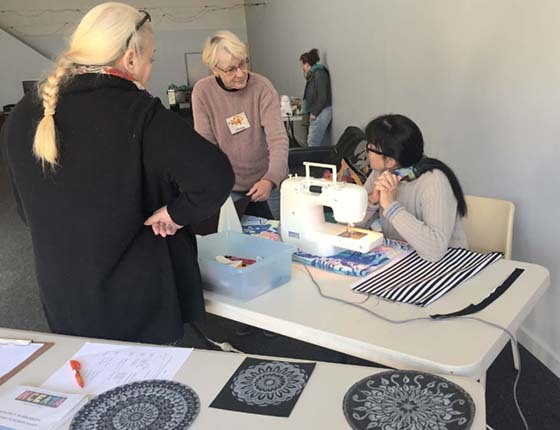 Workshops cover everything to do with ceative work in all types of fibres and threads including embroidery, machine embellishment, dyeing, painting, discharging, fabric painting, wet and dry felting, beading and also elements of design and creative visual techniques. 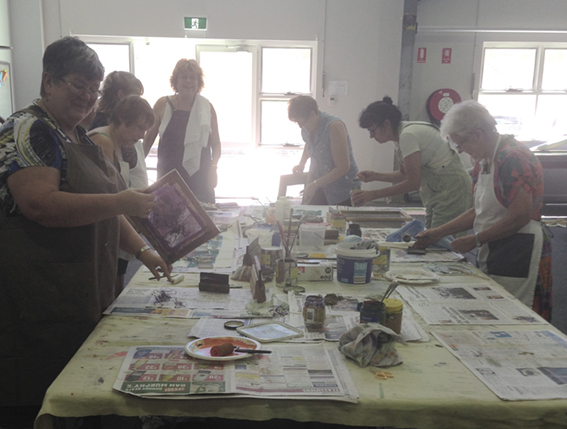 Most are given by our own members but there are also special workshops taught by nationally recognised teachers. 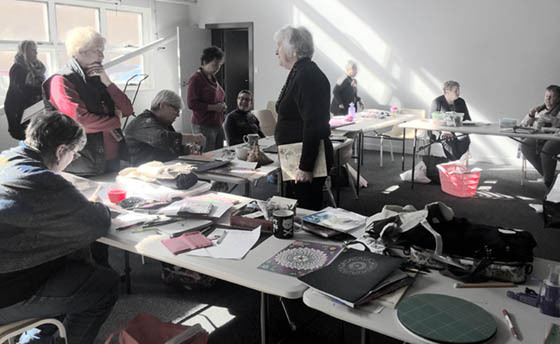 Our 70+ members receive a monthly newsletter which details the workshop information for each meeting and informs everyone about upcoming exhibitions and members’ news. There is an extensive library of informative, inspirational books and magazines. 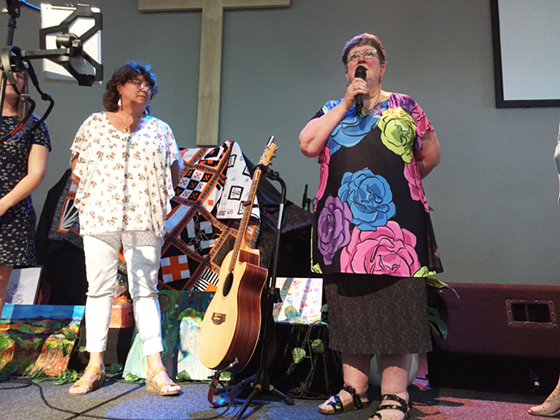 Membership fees are $50 annually. Visitors are always welcome so just turn up to a meeting. Click on the link at the top of this webpage to download our NCEATA flyer and APPLICATION FOR MEMBERSHIP form. This a PDF file for you to print out. Fill in your details and mail with payment to start your membership almost immediately. 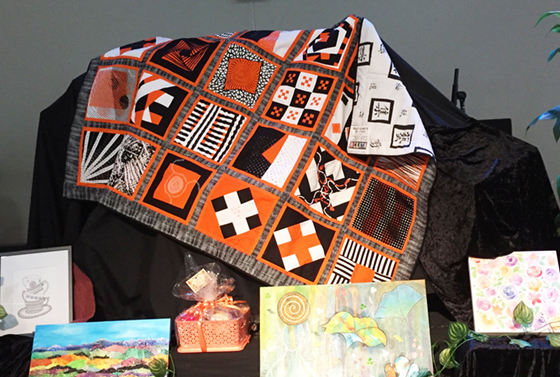 Congratulations to NCEATA member Judi Nikoleski whose art quilt CAUGHT BY THE CHANGEABLE ELEMENTS was awarded best of show and purchased for their cotton fibre art collection at the 2017 Australian Cotton Fibre Expo. Congratulations to NCEATA member Lorraine Wiseman whose jacket took a first at the 2016 Gresford Show in the Arts and Crafts section. 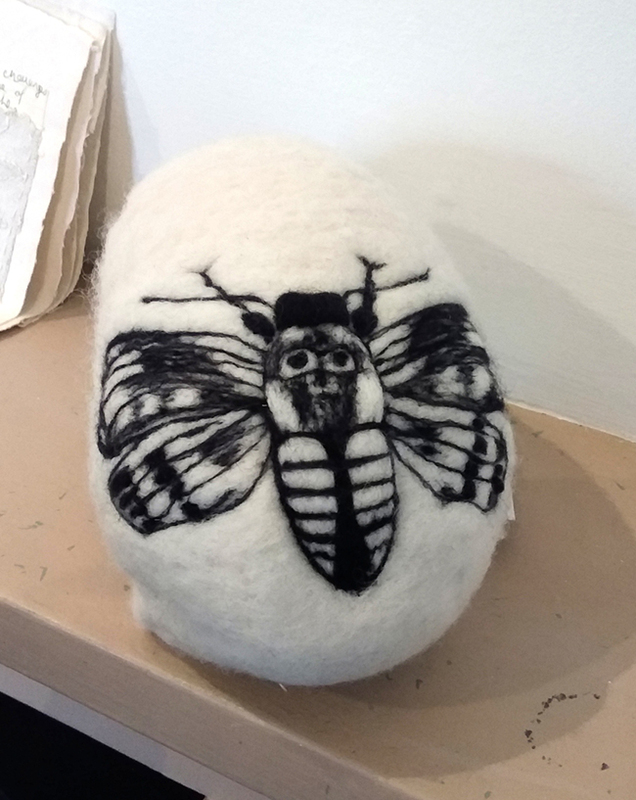 Lorraine was also awarded Stroud Show judge's Choice Champion Needlework and Craft exhibitor because of 6 firsts and 3 seconds out of 10 entries. This jacket is made by discharge dyeing, then over-dyeing recycled jeans with leftover laces, crocheted handkerchief edgings and embroidery. 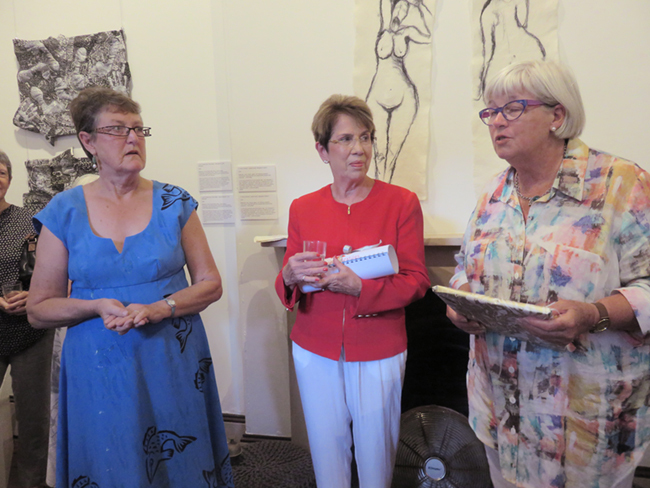 Congratulations to NCEATA member Mary Hedges whose necklace was awarded a prize at the 2017 Sydney Easter Show. Page last updated 21st February 2019. page views since 28th March 2011.